The Indian government has heavily slashed the prices of coronary stents. Will patients with heart conditions benefit from it? 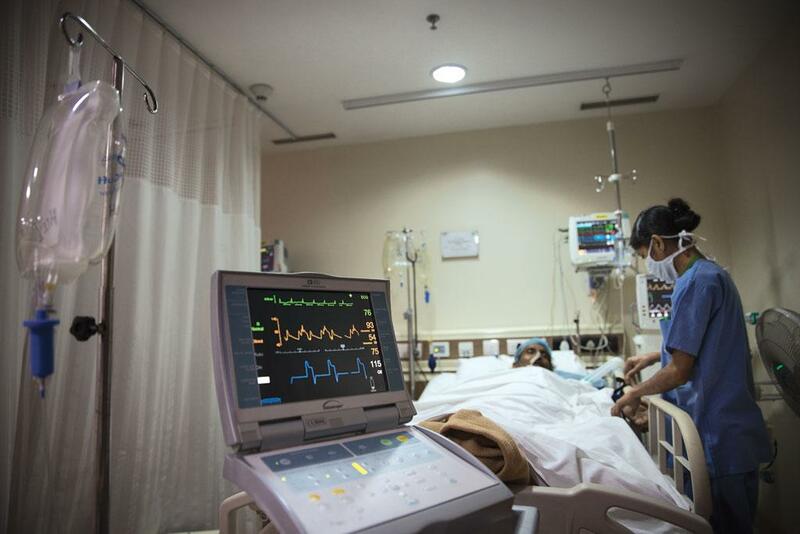 In a landmark step to break the long-run nexus bet ween the medical devices industry and hospitals, the Union government has slashed the prices of life-saving coronary stents by up to 85 per cent. Stents are small, expandable mesh-like tubes that are inserted into the narrowed arteries of heart to treat coronary artery disease (CAD). In a notification issued on February 14, the National Pharmaceutical Pricing Authority (NPPA) has capped the prices of bare metal stents (BMS) at Rs 7,260, and their advanced variants, the drug-eluting stents (DES), at Rs 29,600. Unlike BMS, DES emits a drug over time to help keep the blockage from recurring. Announcing the notification, Minister of Chemicals and Fertilizers Ananth Kumar said that at this rate, and after including 5 per cent value added tax and other taxes, the average price of BMS will reduce to Rs 7,623 from Rs 45,000, and that of DES will reduce to Rs 31,080 from Rs 1,21,000. This will result in a gross relief of Rs 4,450 crore a year for cardiac patients in the country, said Kumar. Estimates show CAD is responsible for 90-95 per cent of the cardiovascular deaths in the country. At least 61.5 million people suffer from CAD, says a 2015 report of the National Commission on Macroeconomics and Health. While NPPA’s bold move has been appreciated by patients’ groups and activists, a concern remains: will patients benefit from NPPA’s price cap? Before announcing the order, NPPA had conducted a market survey of stents at the behest of the Rajya Sabha and published the report on its website in January. The report exposes the nexus between manufacturers, distributors and hospitals. For instance, patients are charged more than Rs 1 lakh, and at times Rs 1.98 lakh, for a DES, which costs only Rs 5,126 to the importer. Of the different parties involved in the business of stent, hospitals pocket the maximum profit; some charge a hefty 654 per cent margin over the original cost of stents. Cardiologist and president of the Indian Medical Association K K Aggarwal says with the slashed stent prices, the cost of angioplasty procedure should go down by at least Rs 1 lakh. But only time will tell whether the benefit will trickle down to patients, he says. While announcing the order, Kumar has also expressed apprehensions on the ultimate effect of the order. He said that he would write to MoHFW to ensure that hospitals do not increase the price of angioplasty procedure, doctor’s fee and prolong the patient’s stay in hospital to recover the curtailed cost of stents. The NPPA order already has a few safeguards to ensure this. It directs hospitals and nursing homes to bill the patients separately, detailing particulars of costs, name of the maker and batch details. Industry, as expected, has decried the decision. Pavan Choudary, director general of the Medical Technology Association of India, says the move will impact innovation in the still nascent industry. It will also dissuade manufacturers from selling DES in India, which will deprive patients of the most advanced and cutting-edge technologies, he says, adding that the NPPA order should have fixed different prices for different stents. However, the NPPA notification has a provision for superior products, including DES, under which makers can claim separate prices by providing clinical evidence of their product’s “superiority”. Sulagana Chattopadhyay, editor of Geo graphy and You, who petitioned the Rajya Sabha to investigate the nexus, says from her personal experience that patients are often needlessly suggested to undergo angioplasty only because doctors and hospitals want more profit. According to MoHFW, 473,000 stents were implanted in India in 2015—up from 135,000 in 2010. This shows the growing importance of stents and also the eagerness of hospitals to implant stents for monetary benefit, says Chattopadhyay, adding that the capping of stent prices is just 10 per cent of the total work needed to provide relief to patients. Agrees Malini Aisola of the All India Drug Action Network, a non-profit that works for access to medicines. She says regulating stent prices is just the first step. The government needs to implement policy measures, such as regulating the rate of angioplasty procedures. It is also important to monitor hospitals. While NPPA can monitor the prices being charged for stents, MoHFW must start regulating hospitals. There is also a need to develop standard operating protocol, based on which the prices of angioplasty procedures can be fixed. Regular audits should be conducted for these procedures along the lines of auditing systems in the US and the UK, she adds. Chattopadhyay says the government should also develop literature that will help patients take the right and informed decision. For example, the literature should help them decide what to do if there is an areterial blockade of 70 per cent or inform them about the life of a stent. All hospitals must provide these literature to patients, she suggests. Now that the government has capped the price of stents, patients can choose hospitals based on the procedure cost and the doctor’s fee, says Sundeep Mishra, cardiologist and editor of Indian Heart Journal. He adds that the government should now cap the prices of other medical devices. This story was published in the March 1-15, 2017 issue of Down To Earth magazine.